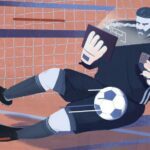 Editor’s Note: This piece is part of a larger package on FIFA in the newest issue of Howler. You can help us continue to publish stories like this by subscribing. [Y]OU CAN’T BUY FIFA ON THE NASDAQ, but that shouldn’t stop the same people who assess the truthiness of executive utterances from scrutinizing Sepp’s blather. That’s exactly what some soccer fans at the Boston-based Business Intelligence Advisors (BIA) did for Howler. By day, BIA helps clients in the financial sector assess the risks of their investments; by night (okay, just one night), they graded the trustworthiness of comments Blatter made immediately after the Justice Department’s charges became public and during his resignation announcement on June 2. BIA used its proprietary Tactical Behavior Assessment and COMPASS methodologies to “analyze verbal and nonverbal behaviors that are reliable indicators of the completeness and reliability of commentary from company management, as well as of management’s own confidence on a particular subject.” Enjoy! his resignation, Blatter gave a press conference in Zurich. When examined using BIA’s analytical framework, Blatter’s verbal and nonverbal behaviors during the Q&A portion of the press conference strongly suggest that he had knowledge of the illegal payments, and that he expects information to be revealed that will implicate him in the corruption either as a participant or as a complicit bystander. 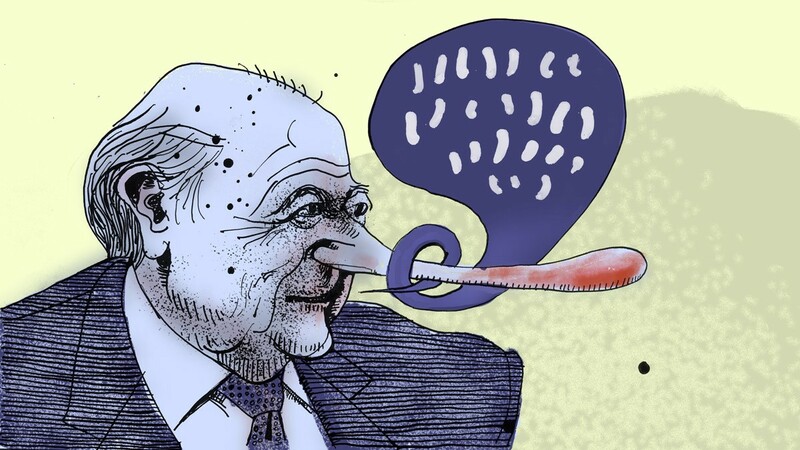 When Blatter is asked bluntly by a journalist whether he knows who authorized a $10 million bribe to CONCACAF president Jack Warner — which Jérôme Valcke, secretary general of FIFA, subsequently admitted to authorizing — and whether it was Blatter himself, he initially refuses to answer, saying, “I don’t go into these allegations or your question.” Ultimately, he does not deny the broader question of whether he knows who authorized the payment, but makes the narrower claim that “definitely that’s not me.” If Blatter were truly not involved, his first reaction would likely be to clear his name of any association with the wrongdoing. Instead, his refusal to answer and overly narrow denial are part of an attempt to provide an “out” should evidence later emerge that he was aware of the payments. 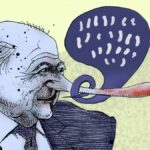 At the end of his response, Mr. Blatter crosses his arms and sits back in his chair, a nonverbal behavior that BIA calls the “CEO pushback.” This shift in posture reveals that Blatter is feeling threatened by the questions and his sympathetic nervous system has been activated in a “fight or flight” response. This evidence of the stress he experiences in saying “definitely that’s not me” further suggests that he has more involvement in the bribery than he is revealing. 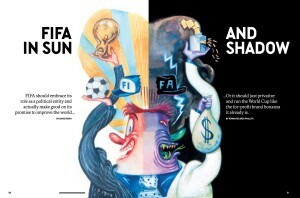 Get the rest of our FIFA coverage and support independent journalism by clicking on the image above and subscribing. When asked pointedly by a reporter whether it was due to incompetence or intentional negligence that he was unaware of a $10 million payment going through FIFA, Mr. Blatter refuses to answer but adds that, “The only thing I can say is that I have no 10 million dollars.” This overly narrow statement does not answer the reporter’s question and does not refute the allegation that Blatter knew about the $10 million payment, nor does it rule out the possibility that he personally benefited from the payment in some way. Consistent with the efforts to keep his statements narrow and terse, Blatter is seen to cover his mouth here, as he does on the heels of several tough questions, a nonverbal behavior suggesting that he is trying to hold himself back from revealing too much. His attempts to minimize the situation are perhaps most obvious when he is asked by a reporter, “Are you concerned at some stage you might be arrested?” and he responds, “Arrested for what? Next question.” This aggressive effort to give the impression that he is not concerned, along with his failure to answer this question and his effort to shut down the conversation and move on, belies a deep concern that the investigation will produce evidence linking him to the illegal payments. Alvar Sirlin is one of Howler’s Drawn Offside illustrators. Follow him on Instagram. 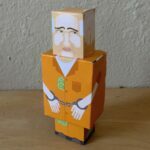 Make Your Own “Inmate Sepp” Doll!